Should You Be Concerned About Mild Hearing Loss? If you believe you have developed mild hearing loss, it might be time to schedule a test to know for sure. Drinking plenty of water, eating a healthy diet, getting adequate sleep, and exercising are all critical for improving your overall well-being. However, this doesn’t mean you should overlook how vital your ear health is. However, if you believe you have developed mild hearing loss, it might be time to schedule a test to know for sure. If you think you have hearing loss, then you know how tempting it can be to deny it. But the longer you ignore mild hearing loss, the more likely it can become more severe. 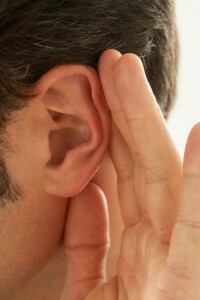 You will start to notice a steady decrease in your ability to hear any sound. The basic definition of mild hearing loss, however, is the loss of anywhere between 26 and 45 decibels as can be measured through an audiogram. The most common cause of slight hearing loss is just the general decline as you age. But damaging your hearing can make it a valid concern as well. What Makes It a Concern? Even mild hearing loss can be a problem that deserves medical attention. You shouldn’t shrug it off or dismiss it since this condition can garble your understanding of everyday conversations. Suppose a coworker is telling you about an urgent meeting with a client that you need to impress, but you misunderstand the time or location of the meeting. You’ll also lose track of understanding conversations with friends and family as well. Unfortunately, hearing loss can negatively affect your self-esteem. You might get depressed and feel as though you don’t deserve to spend time with your loved ones. Thus, you decide to isolate yourself. But this is another strong temptation you should resist, since getting the right hearing aids fitted can help you understand your world while avoiding potential hazards that you might not otherwise recognize. Once you accept that you have a mild hearing loss condition, see your doctor right away. They can direct you to an audiologist such as the friendly professionals here at Clarity Audiology. You might need to have your hearing evaluated, but at the same time, it’s possible your hearing change could be due to something else. For instance, you might have too much earwax. You might not realize it, but a sudden change in your hearing might also indicate your health is changing, such as developing diabetes or high blood pressure. If your doctor recommends you get a hearing test, be sure to schedule it as soon as possible. The first hearing test you have can serve as a place to start to see if your hearing improves or worsens over time. Clarity Audiology & Hearing Solutions offers state-of-the-art hearing solutions for any hearing loss you are experiencing. We specialize in diagnosing and treating hearing loss, fitting and programming hearing aids, and helping you hear again. Contact us today to schedule an appointment online or by calling 410-698-6594. To see what we are up to, follow us on Facebook, Twitter, YouTube, and LinkedIn. This entry was posted on Friday, January 12th, 2018 at 8:46 am. Both comments and pings are currently closed.